Britain’s national treasure, fashion designer Sir Paul Smith (CBE RDI), is globally celebrated for his distinctive coloured stripes that accentuate, individualise and enliven his many fashion wares and accessories. Combining tradition with modernity, his quintessentially British designs are ‘classic with a twist’, and his passion for quality and authenticity prevails in all he and his studio do. 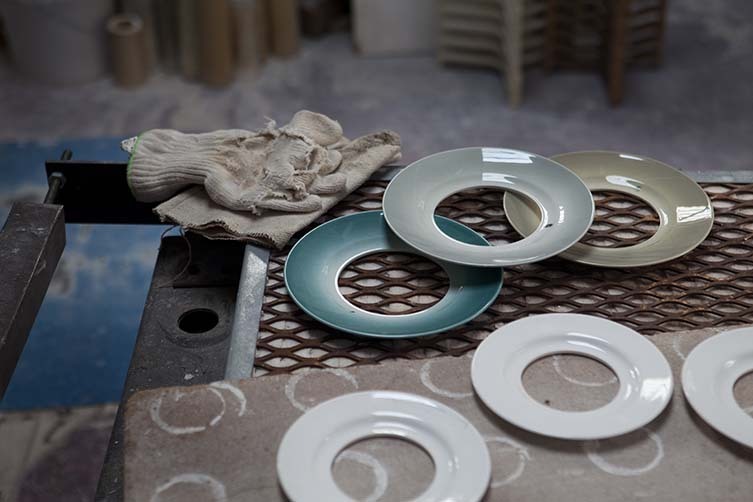 Another design force seeking to combine the contemporary with the quintessentially British are 1882 Ltd., a Stoke-on-Trent brand flying the flag for British pottery, formed in 2011 by fifth generation Emily Johnson and her father, Christopher. 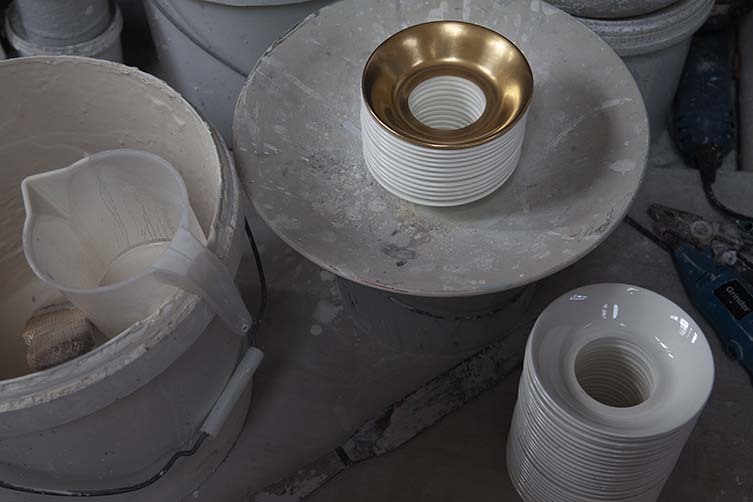 With a long ceramic heritage rooted in the world-famous ‘Potteries’, the design-driven company shares much with the creativity and craftsmanship of Smith’s, their values, too, lying in clever design and unrivalled quality. 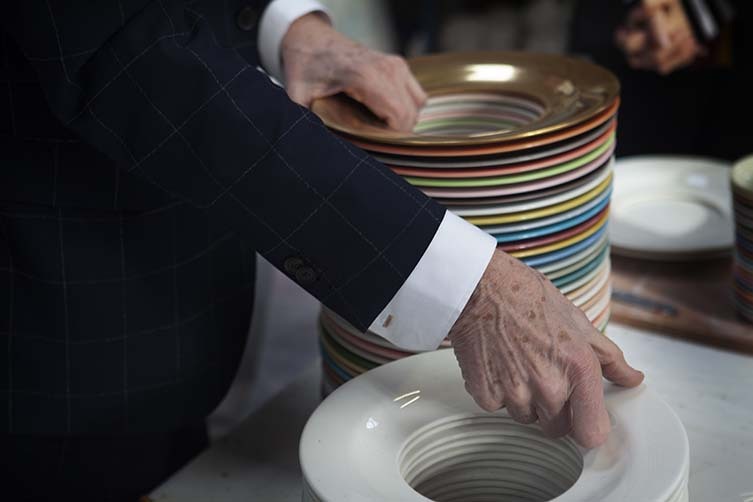 Together, the progressive ceramics brand and the design icon have begun an ongoing partnership that has just launched with the Stack Collection; a unique series of one-off vases made by hand in Stoke-on-Trent by highly skilled industrial craftspeople, touched with a classic Paul Smith motif. 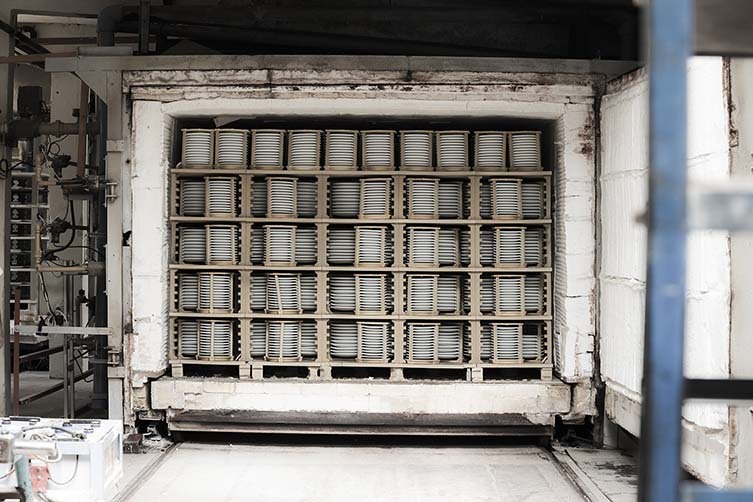 With an initial release of just 22 vases composed of hollowed out plates stacked on top of one another, the Stack Collection is a fascinating take on traditional ceramics, and one that bears all the hallmarks of this technically challenging craft. 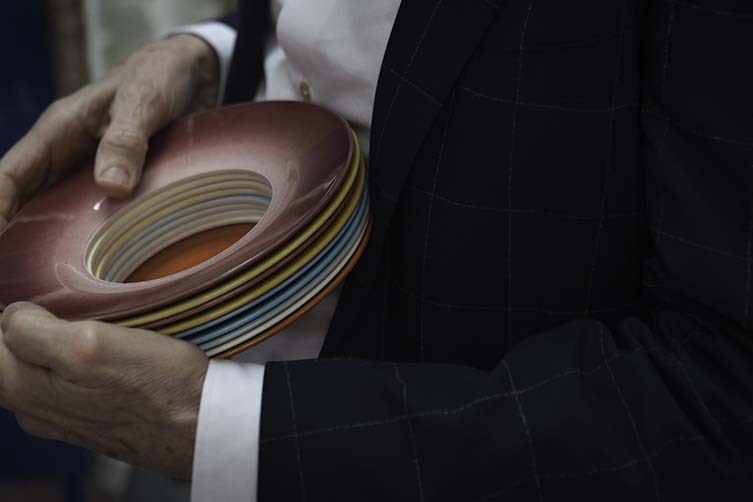 With colours behaving differently at the incredible glost temperature of 1,060℃, colour matching all four plates to Smith’s trademark multi-stripe, and them requiring multiple firings in stacks of six at a time, each stack takes nine days to produce. The hollow through the centre of the plates allows for a glass tube insert which can be filled with water, giving a utilitarian purpose to a design that at first glance appears devoid of one. 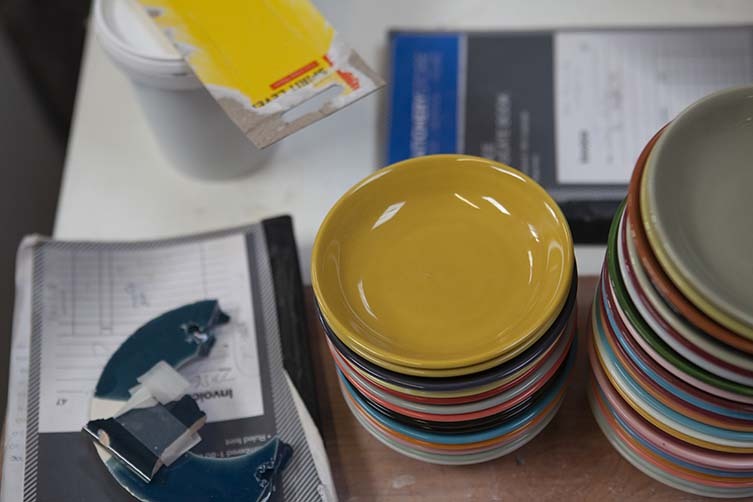 Along with its unexpected use, colour naturally plays an integral part, with Paul wanting each plate to act as a band of colour in his famous stripe monogram. What prompted the collaboration? Sir Paul explains, “I’ve always been attracted to independent businesses run with passion and creativity and 1882 Ltd. is exactly that. 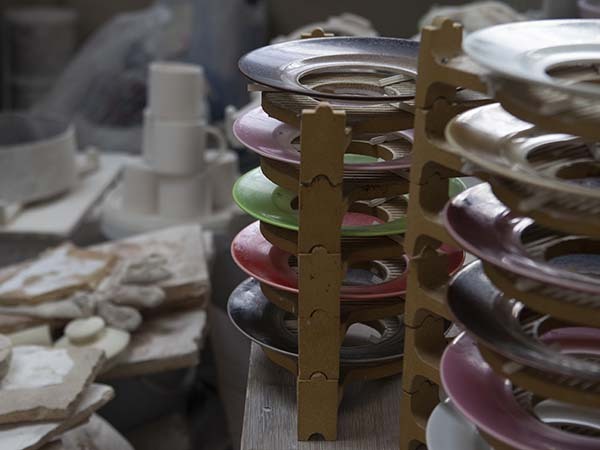 Emily has a tremendous knowledge dating back many years of the Stoke-on-Trent area where the majority of British ceramics are still made. It’s been wonderful to get to know her and draw on her experiences”. Paul’s original drawing for the collection. 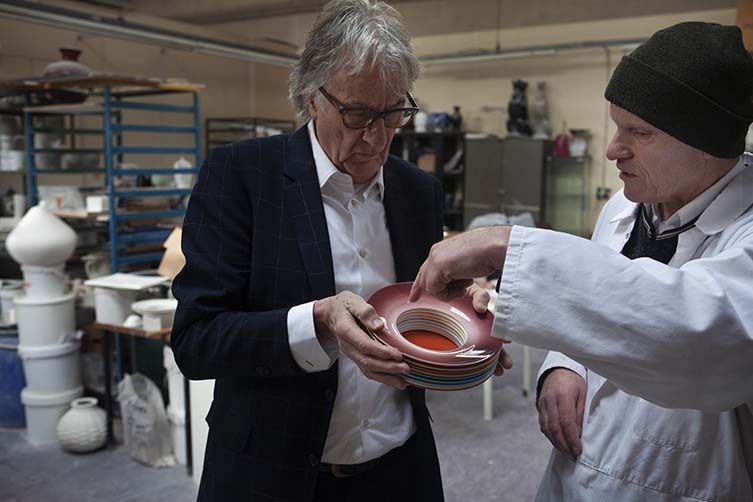 As The Potteries continue to fly the proud flag of the ceramic industry in Britain and afar, The Stack Collection collaboration between 1882 Ltd. and Paul Smith could not be more befitting. It’s a delight to see such collaborations widening the paths of UK crafts at home and internationally. But what of that unconventional stacking concept? 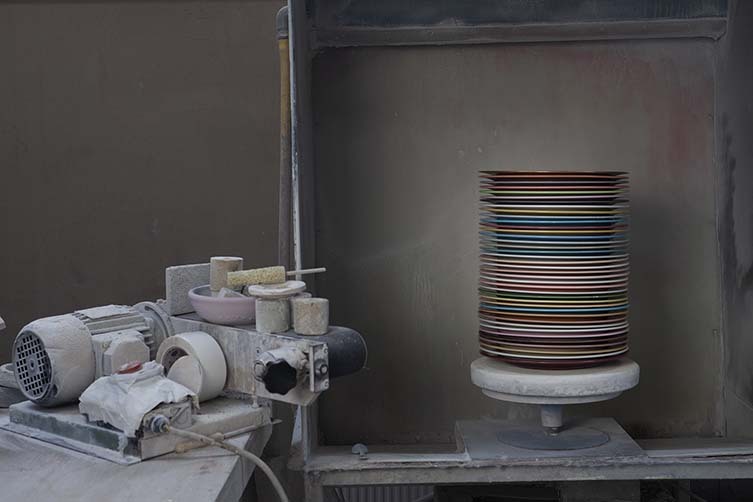 “On seeing a stack of plain plates ready for firing inside the kiln I immediately imagined them coloured and could see one of our famous stripes,” Smith continues. “The rest just followed from there. Emily and her talented team of makers have been painstakingly getting the colours right and figuring out how to construct the vases. Making them watertight hasn’t been easy given they’re made of a hollowed stack of plates, but we got there and are delighted with the results”. When it comes to collaborations, Paul is not so easily swayed, and almost all invitations are rejected for numerous reasons. 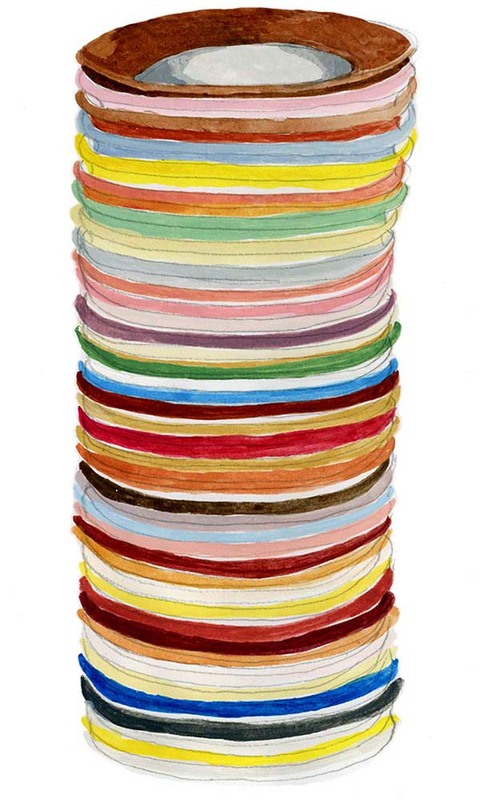 However, when his instincts scream ‘YES!’, collections like Stack are born. Based on a mutual respect for design and craftsmanship, curiosity and drive to push boundaries, beautiful things can happen. And do such partnerships rub-off on his own work? 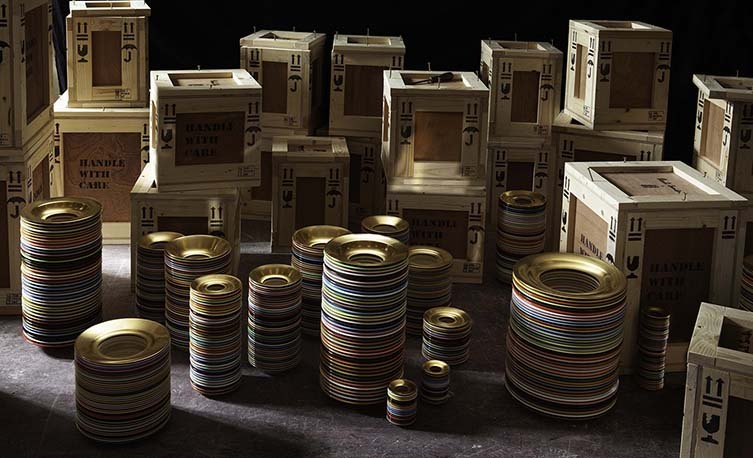 You catch a glimpse of the Stack Collection at Salone del Mobile until Sunday 14 April, and at London Craft Week and ICFF New York this May.